(TNS)—FHA loans are popular with mortgage borrowers because of lower down payment requirements and less stringent lending standards. 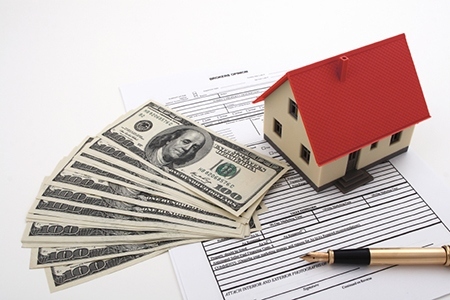 Following are seven facts that borrowers should know about FHA loans. For most borrowers, the FHA requires a down payment of just 3.5 percent of the purchase price of the home. That’s a “huge attraction,” says Dennis Geist, senior director of compliance and fair lending at Treliant Risk Advisors and formerly a vice president of government programs for another lender. In late 2014, Fannie Mae and Freddie Mac reduced minimum down payments to 3 percent from 10 percent, but such loans have limited availability. Two mortgage insurance premiums are required on all FHA loans. The upfront premium is 1.75 percent of the loan amount — $1,750 for a $100,000 loan. This upfront premium is paid when the borrower gets the loan. It can be financed as part of the loan amount. The second is called the annual premium, although it is paid monthly. It varies based on the length of the loan, the amount borrowed and the initial loan-to-value ratio, or LTV. —15-year loan, down payment (or equity) of less than 10 percent: 0.7 percent. —15-year loan, down payment (or equity) of 10 percent or more: 0.45 percent. —30-year loan, down payment (or equity) of less than 5 percent: 0.85 percent. —30-year loan, down payment (or equity) of 5 percent or more: 0.8 percent. The FHA has a special loan product for borrowers who need extra cash to make repairs to their homes. The chief advantage of this type of loan, called a 203(k), is that the loan amount is based not on the current appraised value of the home but on the projected value after the repairs are completed. A so-called “streamlined” 203(k) allows the borrower to finance up to $35,000 in nonstructural repairs, such as painting and replacing cabinets or fixtures. Marcie Geffner writes about mortgages and other personal finance topics for Bankrate.com.